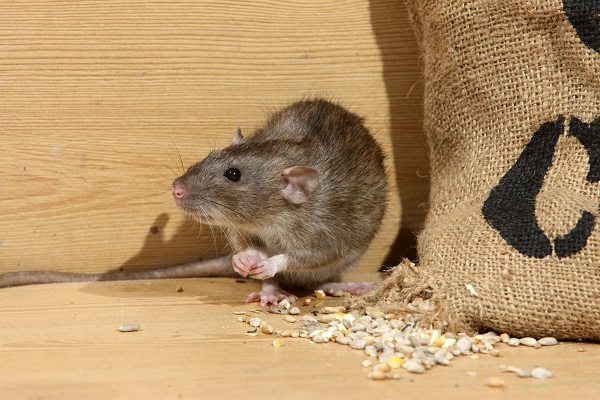 Lion Gate Pest Control offers superior rodent control services throughout Tujunga, Burbank, West Hills, Pasadena, Woodland Hills, Glendale, Encino, Tarzana, Studio City and the surrounding areas of Los Angeles County. We give free rodent and vertebrate inspections, along with in-depth vertebrate reports for a nominal fee. Our licensed technicians can give you a comprehensive diagram with written solutions to any rodent or vertebrate problem. Any fee will be waived if you decide to work with us. In addition, we offer complete attic odor-neutralizing products along with urine and feces stained insulation removal, cleaning, and re-insulation of your attic and subareas. The roof rat is California’s “Affluent Rat”. It prefers affluent neighborhoods because it likes to live in palm trees, shrubs, other secluded vegetation near residences and inside houses not congested with too many people. 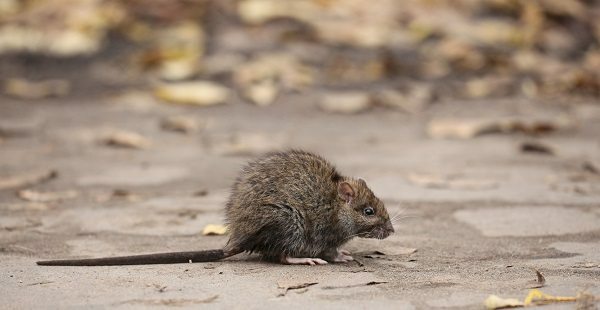 It is more likely than the Norway Rat to choose enclosed spaces in attics, walls and cabinets for nesting and cover. (The Norway Rat prefers burrows in the ground). 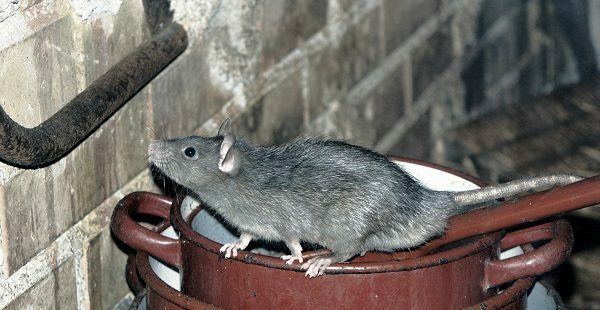 The Roof Rat shows more preference for fruits and vegetables than the Norway Rat. The Roof Rat also is somewhat smaller, lighter in weight, more agile and less aggressive than the Norway Rat. In California the Roof Rat lives along the coast, in the interior valleys and up to elevations of about 5,000 feet. The Norway Rat lives practically everywhere in the country that humans live. In combat, which sometimes can be fierce, the heavier Norway Rat usually wins over the more agile Roof Rat. Most of the remainder of the discussion will apply to both Norway and Roof Rats because, other than what already has been pointed out, there is not a great amount of practical difference between the two. They are primarily nocturnal animals, moving about stealthily and in greater numbers at night than during the day. Rats will provision their nest (whether underground or aboveground) with bits of paper, rags, burlap, straw, string, etc. These items are carried to the selected harborage, packed loosely and built up around the side of the burrow until there appears a crudely constructed nest resembling a bird’s nest. The mother protects the young, but the males sometimes will eat the young if given the opportunity. The preferred nesting site of Norway Rats is in underground burrows. The burrows typically have 2 or more entrance holes, a central den and very often a “Bolt Hole” lightly plugged with soil or otherwise hidden. This provides an emergency escape for the rat if it is needed. Droppings are the most constant and readily observed sign of infestation. Number, freshness and size of droppings indicate the extent of infestation. They are found in secluded corners, harborages and runways. Tracks are distinctive and easily recognized. They resemble tiny human hand prints. The back feet have five toes and the front feet have four. Their tail marks appear as wavy lines on dusty surfaces. Rats’ bodies are dirty and greasy. Repeated contact with surfaces where they travel leaves smudges, called “Rub Marks”. Sometimes there are semi-circular “Swing Marks” under beams and rafters when these obstruct their overhead runways. Rats traveling along beams or ceiling joints can be handily trapped by securing baited snap traps along the top side of the beams or joists. These can be distinguished from young domestic rats by looking closely. Their heads and their feet are smaller in proportion to the body than is the case with the young rat. Unlike the larger rat, mice are “Nibblers.” They make small holes or do other damage in many places rather than a lot of damage at one place. The mouse has keen senses of touch, smell and hearing. It can run, jump and swim very well, but it cannot climb as well as a rat. They are curious little animals; sometimes exploring and being caught in snap traps using only cotton as the bait. They make their nests out of the same types of soft materials as rats, except they tend to tear it into smaller pieces. The size of the litter is 6 to 8 and there are 5 to 6 litters per year. Normal life span is less than a year. They eat about the same food as humans. Because they nibble, they may feed as often as 15 to 20 times per day, consuming only small amounts each time. They often require no water to survive (other than that in the solid food they eat). They do not travel far from their nest (about 12 to 20 feet). Infestations are accompanied by droppings that are smooth with pointed ends. Roach droppings, with which they sometimes can be confused, have blunt ends and lengthwise grooves. Good sanitation is essential for effective long term control. Mice can enter any opening larger than ¼”. Therefore, ¼” hardware cloth frequently is used to prevent their entry into buildings (used for rats as well). Standard snap traps are effective. They should be spaced close together because the mice do not travel far. Most people use too few traps. A dozen is not too many for a typical house infestation. If a great number of mice have been caught, but the catching stops and still more droppings are evident, relocate the traps to where the new droppings have appeared. Multiple-Catch traps should be used for larger infestations in commercial buildings. Check these traps often. Dead mice create odor and attract insects. Glue boards are also effective. Use them in dry, non-dusty areas. Tracking Powder should be applied at floor level, elsewhere only if safe and per label. Don’t let your rodent problems continue damaging your property and peace of mind. Contact the professionals at Lion Gate Pest Control at 800-587-7015 today with any questions. We look forward to providing you with comprehensive, effective rodent solutions. And don’t forget to ask about our organic treatments! Located in Tujunga, CA, Lion Gate Pest Control provides rodent extermination to Burbank, Pasadena, Glendale, Tarzana, Woodland Hills, West Hills, Studio City, Encino, and surrounding areas of Los Angeles.